The Department of Parks and Recreation enhances the lives of City of Harrisburg residents and visitors by offering programs, services, and activities that encourage participation in recreational activities, leisure services and cultural experiences.  Beginning January 28th, all park permit applications need to be completed at City Hall located at 10 N. 2nd St, Suite 401, Harrisburg, PA 17101. Reservoir Park Mansion will not be open until further notice. The Bureau strives to deliver quality customer service through the development, operation, and maintenance of the city’s public parks, recreation, and cultural affairs facilities to create an environment that is deemed safe, affordable and enriching for all. We provide a growing and positive environment for all Harrisburg citizens through the manufacture of an extensive public park system where we present a variety of recreation and special event programs. We take pride in the fact that our free, family-friendly entertainment reaches out to a variety of citizens and visitors in order to truly reflect our diverse community. Through our devoted employees, generous sponsors, and obliging volunteers, we are able to conduct some of the most rewarding and successful events in the Central Pennsylvania area. We look forward to the enduring growth of our City programs and events that provide the utmost community interaction. How do I host an event at a city park? City parks are available to rent on a first come, first serve basis, you simply need to complete a park permit application. How do I obtain a permit to trim, plant or remove a tree? Contact the Park Maintenance by dialing 3-1-1 or 717-255-3040 to be placed on the tree list and to learn more information about shade tree ordinance. Where can I find information on various city parks and playground? Please navigate to the Parks and Playgrounds page to learn more.